R you looking for an organization which can enable you in providing multiple solutions to various other business entities? HTS is your one stop shop to look out for high quality software solutions to our business market. 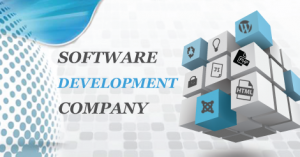 HTS is one of the most efficient and upcoming software Development Company when it comes to the question of conferring software solutions. The software experts in the team have a strictly professional approach with a mindset of delivering complete user satisfaction to their clients. HTS in the recent years has launched a wide range of exclusive products like Gethrm, Monkey CRM and live chat. These products are customized as per the needs of the customers ensuring 100% customer satisfaction. With GetHrm the employee modules like attendance & payrolls can be managed on a centralized portal. To mention the least, it is one of the most effective of all the software available in the commercial world. With the Monkey CRM software, a company can preserve the database for its customers/vendors, generate invoices, update inventory etc. Live chat software is one of the dynamicproducts manufactured by our experts. Theglitches related to business can be solved immediately; one can get an instant alert the moment you press on the chat button. Although, there are other competitor companies in the similar business, HTS solutions excel in its business domain. The company actively focuses on to the task of resolving business problems. The professionals work with great beliefin delivering hassle free and user handy solutions. Succeeding in the field of software and delivering the best to the customers is the main objective of HTS solutions. Providing customized solutions to the clients and customers is the foremost goal of HTS Team. The feedback from various other business entities and users shows that HTS performance is ahead of any other competitor in the business market. The features and the products that the software provides are much greater in potential than the competitors. HTS solutions, therefore, is one of the most financially valuable & a trusted business partner by all means.